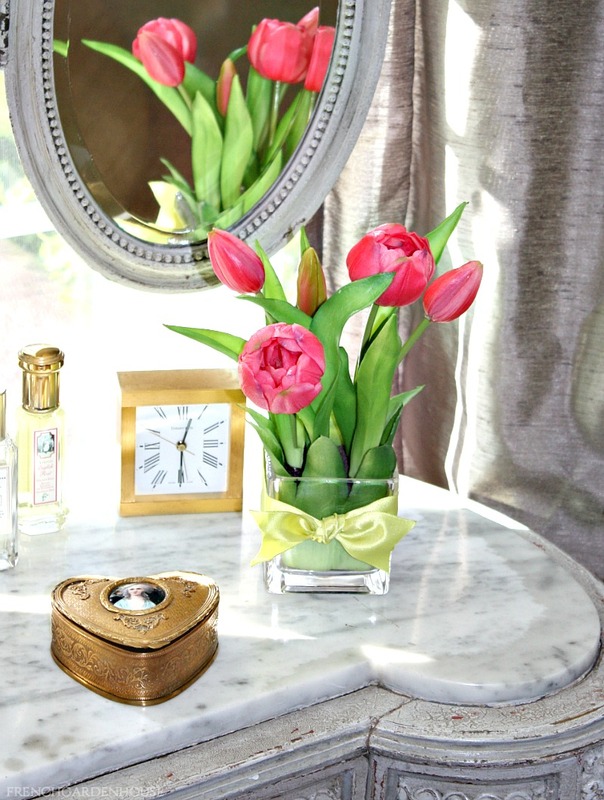 Invoke the blissful magical feeling that comes from a sun-filled day with this happy bright bouquet of pink faux tulips. Arranged in a clear glass vase, perfect for your desk or a small side table, this charming bouquet is guaranteed to brighten up your day. We tied it up with a cheerful chartreuse green satin ribbon. A jewel of a gift, or a pop of color for your powder room. Measures 9" x 3-1/4" x 3-1/4".